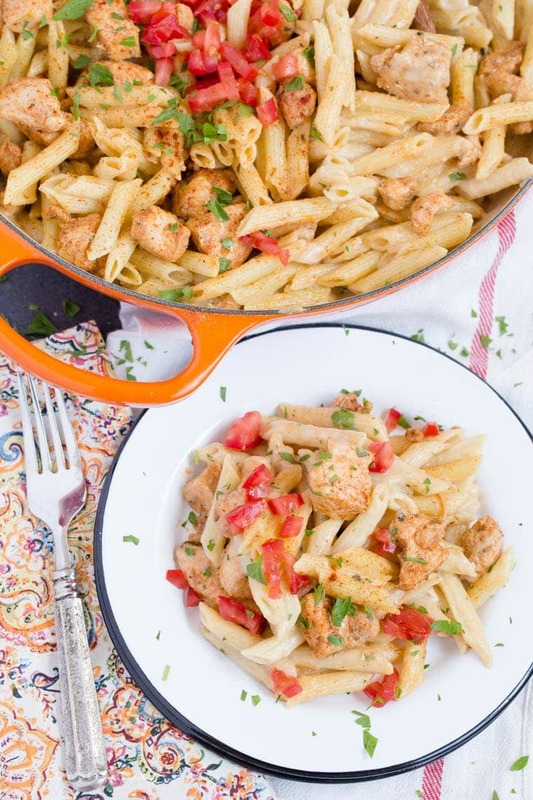 This Creamy Cajun Chicken Pasta, with a spicy homemade cajun seasoning coating the chicken and swirled into the creamy sauce, is sure to become an instant favorite for weeknight dinners. 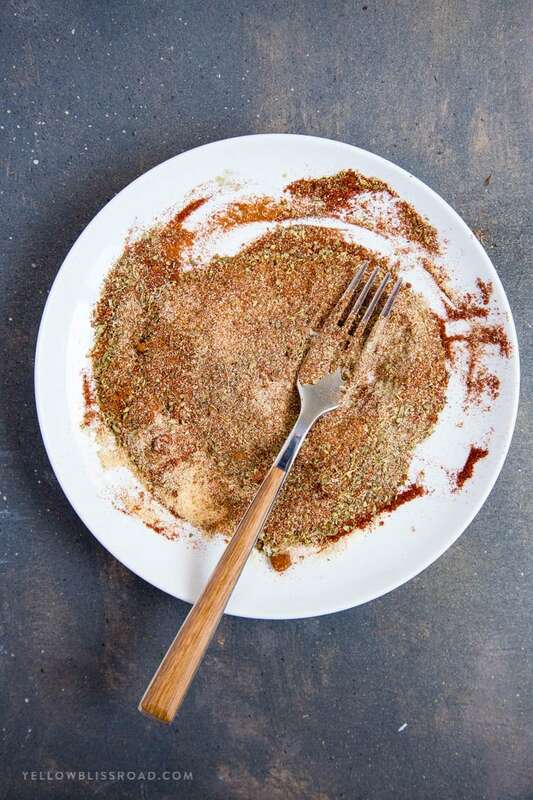 If you’ve never tried cajun seasoning, this recipe is the perfect way to ease into it. I was always scared of it because I am a complete wimp when it comes to spicy food. However, once I tried this flavorful seasoning, there was no turning back and it quickly became a favorite. I’m not usually one to buy lots of different spice mixes – I prefer to make my own. It’s so much cheaper and it’s so easy if you have a full spice cabinet like I do. My homemade cajun seasoning is a mix of onion powder, garlic powder, dried oregano, dried thyme, black pepper, cayenne pepper and paprika. I did quite a bit of research and tried different recipe before finally settling on a mix that was super flavorful but not too spicy that I couldn’t handle it. 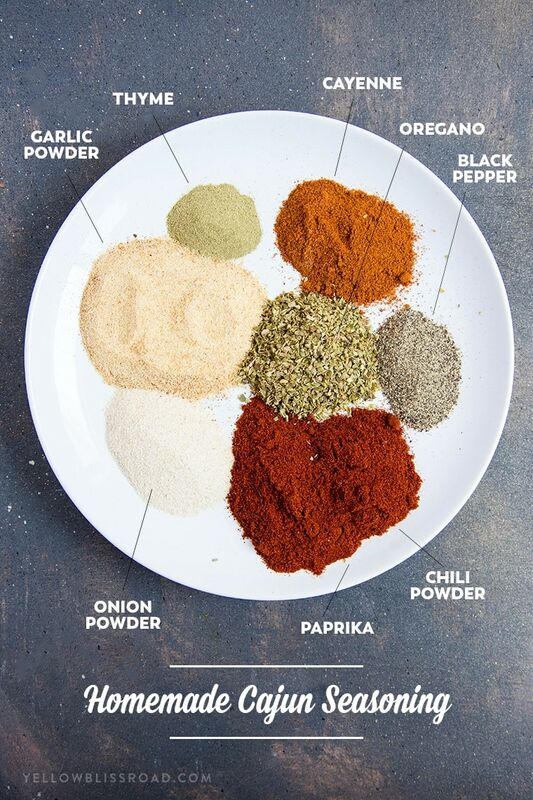 If you prefer, you can add salt to the seasoning mix (I’ll include that as optional in the recipe below), but I prefer to season my meat directly with salt so I know exactly how much it’s getting. With a dry run like this, there’s no reason to really marinate the chicken. Just season with salt and the homemade cajun seasoning and cook it up in a skillet. Transfer the cooked chicken to a plate and make the sauce right there in the same skillet. This is the part where that lovely cajun seasoning is swirled in with the creamy sauce to flavor it – not a lot but just enough to give it a nice boost of flavor. 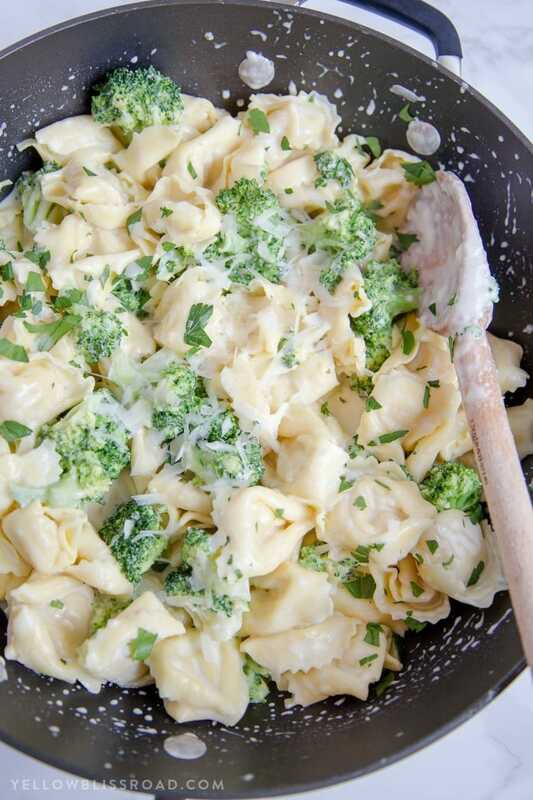 The sauce itself is similar to an alfredo but not quite as cheesy, and it’s not a tradition butter/cream sauce. 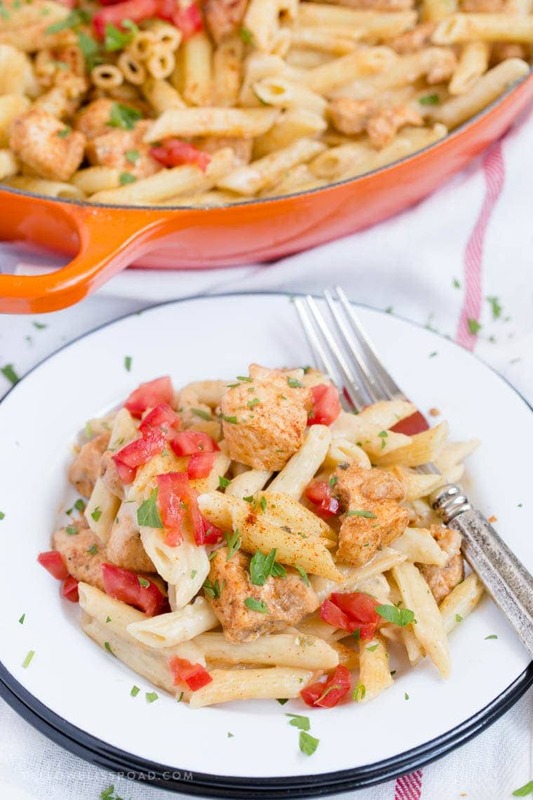 The pasta is cooked separately, and once the sauce is ready both the chicken and the pasta are tossed with the sauce to make this lovely Creamy Cajun Chicken Pasta. 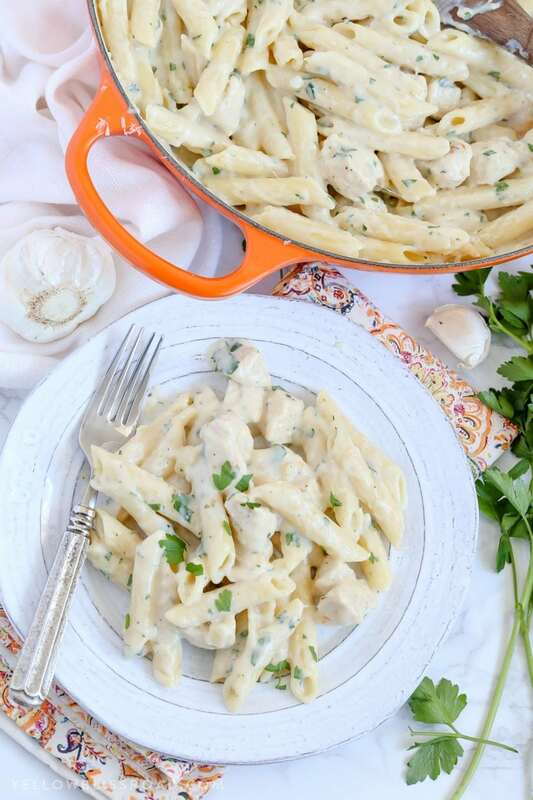 I loved this Creamy Cajun Chicken Pasta so much that I made the recipe in the morning and had it for lunch, then ate it again for dinner with my family! It was THAT good! To reheat I just added a little more milk and chicken broth and heated it slowly on the stove. If you prefer to reheat in the microwave, add about 1-2 tablespoons of milk per cup of pasta and reheat at 50% power. 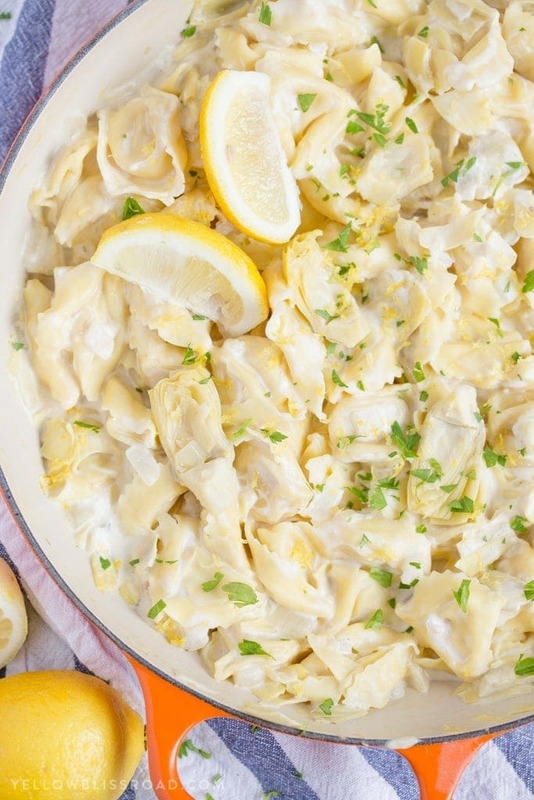 This will keep it nice and creamy and won’t dry out the chicken. I was a little surprised at how much my family enjoyed this meal. 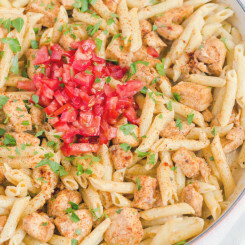 But with it’s creamy sauce, tender pasta and spicy chicken with that homemade cajun seasoning that really packs a punch, how could they not?! 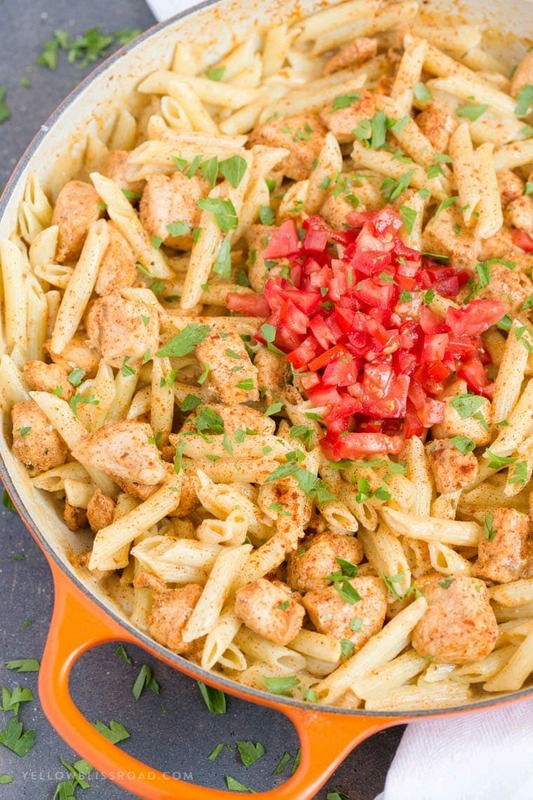 This Creamy Cajun Chicken Pasta, with a homemade cajun seasoning is sure to become an instant favorite for weeknight dinners. Cook pasta to al dente according to package directions. Drain and set aside on a plate or in a large bowl until ready to use. Meanwhile in a large, deep skillet, heat 1 tablespoon olive oil and 1 tablespoon butter. Add chicken and season with 2 tablespoons Cajun seasoning and 1/2 teaspoon kosher salt. Cook until chicken is no longer pink; about 5 minutes. Transfer to a plate and set aside with the pasta. Add 3 tablespoons of butter to the skillet and melt, swirling around to coat. Stir in garlic and cook for about 30 seconds to a minute. Whisk in about 1/4 cup of the chicken broth and stir constantly to deglaze (loosen and scrape up all those lovely brown bits of flavor) the pan if needed, then stir in flour and cook for about one minute or until golden. Whisk in milk and remaining chicken broth and simmer for several minutes until thickened (sauce should coat the back of a spoon). 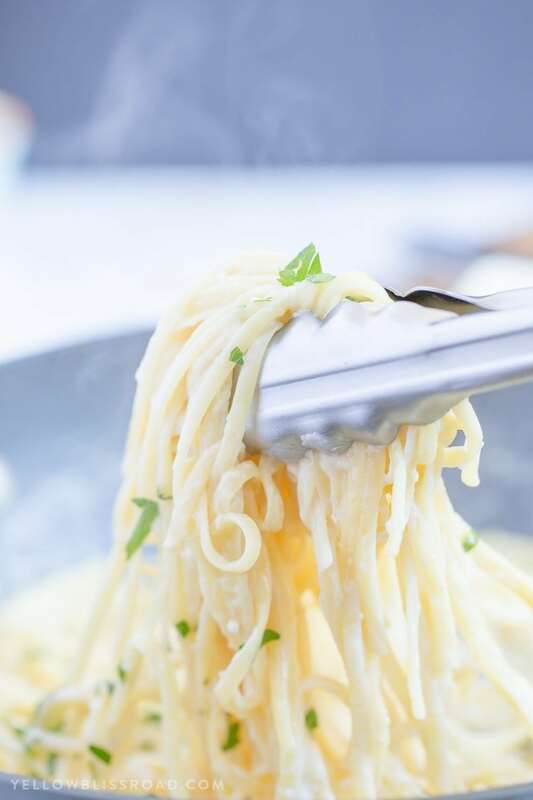 Remove from heat and stir in Parmesan cheese until melted. 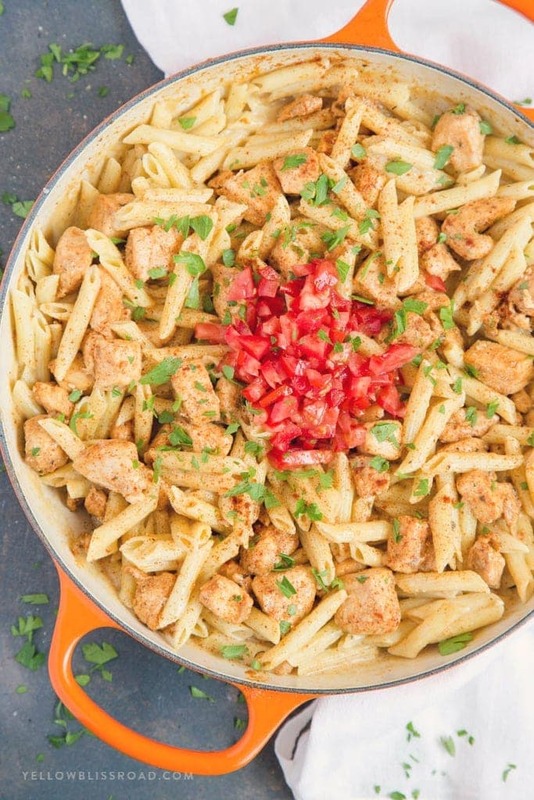 Toss the cooked pasta and chicken with the sauce to coat. 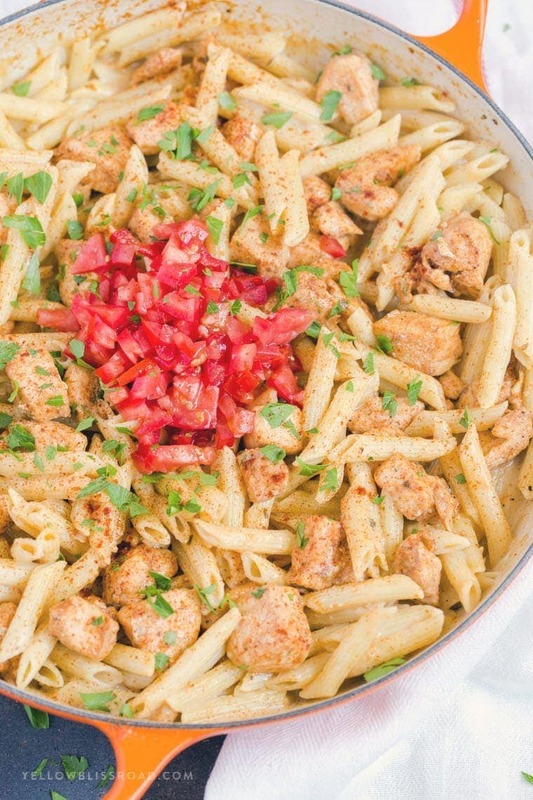 Serve immediately, garnished with diced tomatoes and fresh chopped parsley. For all pasta recipes go HERE, for all dinner recipes go HERE and for the Recipe Index go HERE. This pasta is the stuff that dreams are made of! I would devour the entire pan!